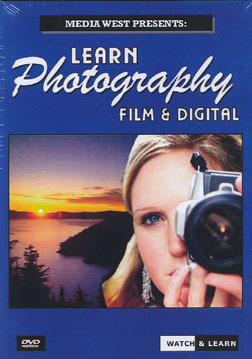 This DVD includes 38 key photographic concepts of basic photography. The program contains hundreds of illustrations and photo graphics that will help the viewer better understand these concepts. This interactive program will help develop good basic photographic techniques and provides inspiration on starting to 'see' photographic images that are all around us. Once you have mastered the basics you can begin shooting more effective and creative images. Brian D. Ratty, internationally known photographer and educator hosts the photography series. Mr. Ratty is a graduate of Brooks Institute of Photography and holds an Honorary Master of Science Degree.